Having deployed from London to relieve Gloucester from Royalist siege, the Parliamentarian army of the Earl of Essex was intercepted by the King at Newbury. Defeat of Essex's force would probably have meant an end of the war but, after twelve hours of bloody and inconclusive fighting, the exhausted Royalists withdrew. By August 1643 the first English Civil War had been raging for ten months. Sir William Waller's Parliamentary army had been defeated at the Battles of Lansdown Hill and Roundway Down in July leaving just one force under Robert Devereaux, Earl of Essex in the south of England. Additionally Waller's defeat had left the vast majority of the South West in Royalist control - in the Severn Valley only Gloucester remained in Parliament’s hands. To ease access to Wales, also largely Royalist, King Charles sought to take Gloucester and called upon its Governor, Sir Edward Massey, to surrender. Although short of ammunition and with a relatively small garrison (under 2,000 troops) he refused for he had the support of the populace and was hopeful of relief from the Earl of Essex. Keen to avoid the bloody price that would be incurred storming the town, the Royalist forces dug earthworks and commenced a siege. In London, which was defended by the Earl of Essex, the relief of Gloucester became important politically. Initially Essex was reluctant to deploy but, faced with the possibility his command might be carved up to allow another leader to take a force to relieve the town, he led the army out aiming to resupply Gloucester and get back to the capital. Taking a northern route he marched via Brackley in Northamptonshire and then west via Cheltenham and onto Gloucester. On his approach the King lifted the siege enabling Essex to resupply the town. Whilst he was keen to fight Essex, whose army represented Parliament's only field army in southern England and whose defeat would mean an end to the war, he did not want to do so with Gloucester's hostile garrison at his back. Accordingly he moved north east towards Cheltenham in preparation to intercept Essex on his return march to London. However, the King assumed Essex would simply re-trace his steps but the Earl was fully aware of the critical importance of keeping his army intact. Accordingly he took a circular route back via Tewkesbury and then south through Cirencester, Swindon and Hungerford. 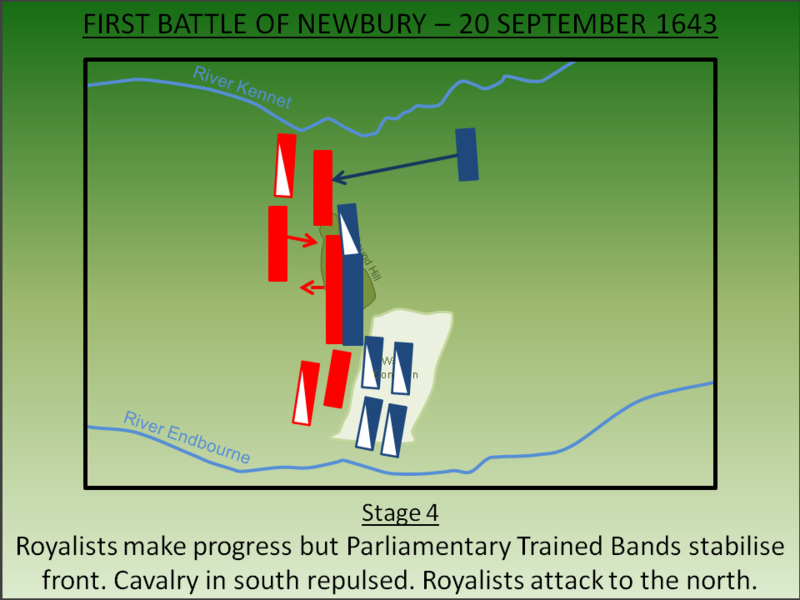 The King quickly became aware of his movements and intercepted the Parliamentary force at Newbury. He now blocked Essex's return to London; if the King could defeat him he would win the war whilst the Parliamentary commander had no choice but to fight for he could not leave the capital undefended. 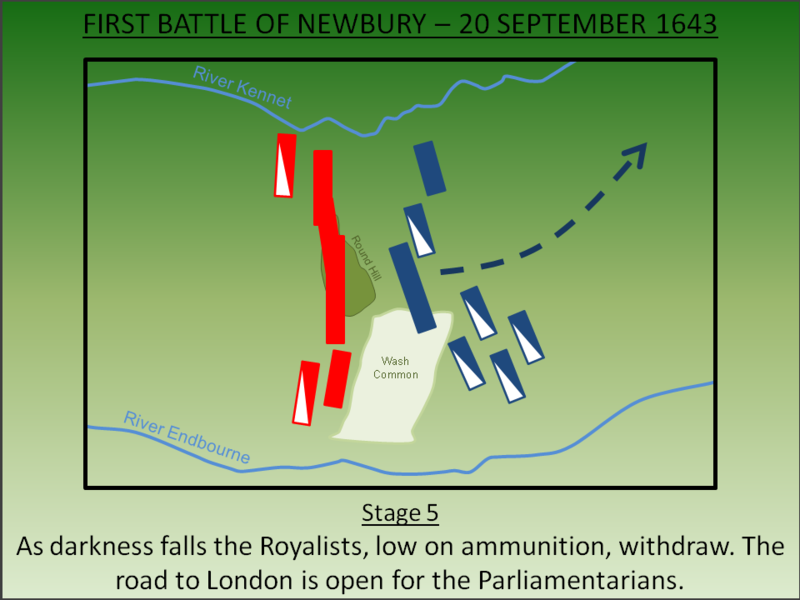 Despite having arrived at Newbury after the Royalists, the King's forces had not occupied the high ground. It is possible they thought Essex would seek to disengage but the Parliamentarian knew he was cornered and had resolved to fight. Overnight on the 19 September he occupied the high ground on Round Hill overlooking the Royalist position. The two armies were of similar size - each estimated to be around 15,000. 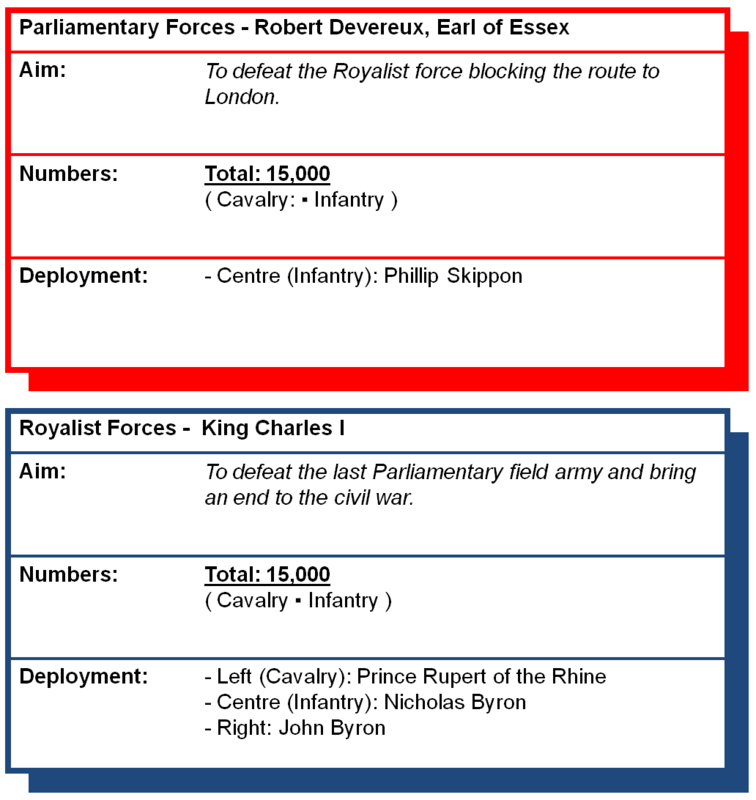 However the Royalist force had superiority in cavalry - both in numbers and quality. Conversely the Parliamentary force was biased towards infantry and this gave Essex an advantage; the landscape was divided into small fields enclosed by a myriad of banked hedgerows which partially neutralised the Royalist advantage in cavalry. His infantry, under Phillip Skippon, consisted of both professional solders and the London Trained Bands. The battle was fought on 20 September 1643. After having successfully seized the high ground at Round Hill, Essex deployed his experienced soldiers in a broad line centred on the hill and stretching from the River Kennet in the north to the River Endbourne in the south. He placed his Trained Bands to the rear as a reserve and the artillery on Round Hill. His cavalry detachments were stationed on his flanks. The Royalists drew up opposite and placed the greater portion of their cavalry on the left in front of the Wash Common - a relatively flat plateau area where it was deemed to be most effective - under the command of Prince Rupert. An additional cavalry element was positioned to the right under Sir John Byron. In the centre the bulk of the infantry was under the command of Sir Nicholas Byron. Essex needed to initiate the battle as he had to return to London. At around 7am he commenced an artillery bombardment of the Royalist positions from Round Hill. Under fire, the Royalists resolved to remedy their earlier tardiness by taking Round Hill. 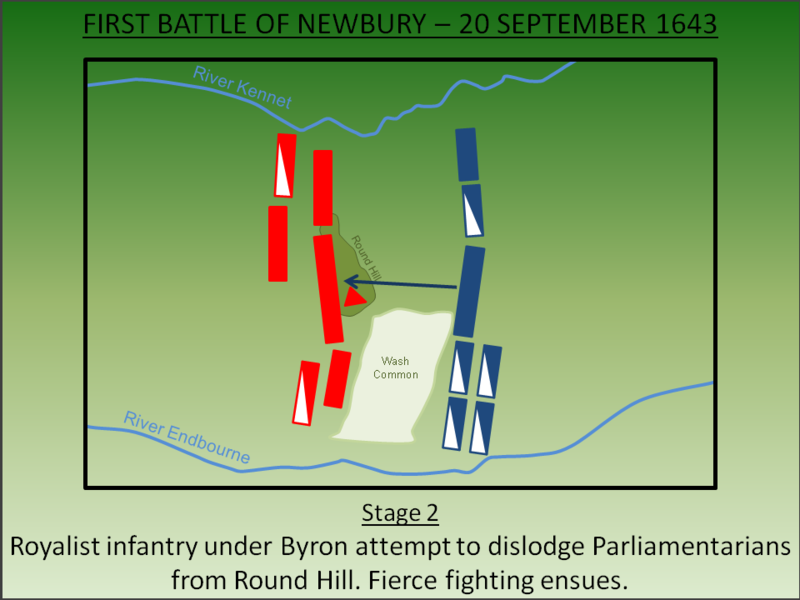 Sir Nicholas Byron advanced his infantry against Skippon. Despite fierce fighting in the centre, the Parliamentary Infantry could not be dislodged. The Royalists now attempted to bring their cavalry into the action. On the Royalist right Sir John Byron's cavalry charged Skippon's troops initially gaining some ground but were then held. In the south, on the Royalist left, Prince Rupert also charged but was unable to dislodge the enemy troops opposite him; the enclosed fields had played to the Parliamentary advantage in infantry and had neutralised the impact of his large cavalry force. With Skippon's troops under intense pressure, Essex now deployed the Trained Bands to augment the infantry line. Across the field the battle degenerated into a fierce but deadlocked fight. In the north, on the flood plains of the River Kennet, the last unengaged Royalist infantry division was brought into action in an attempt to dislodge their Parliamentary opposites. Fighting here was possibly less fierce; with Newbury, immediately to the north east, in Royalist hands a Parliamentary breakthrough here would be pointless. Either way neither side was able to make progress and, as with elsewhere on the battlefield, stalemate ensued. The battle raged on all day and only at nightfall did the two sides disengage. Heavy losses had been suffered by both sides but Essex was ready in all respects to resume the fight the next day. The King's forces however were critically low on ammunition and were demoralised by their lack of progress throughout the day. 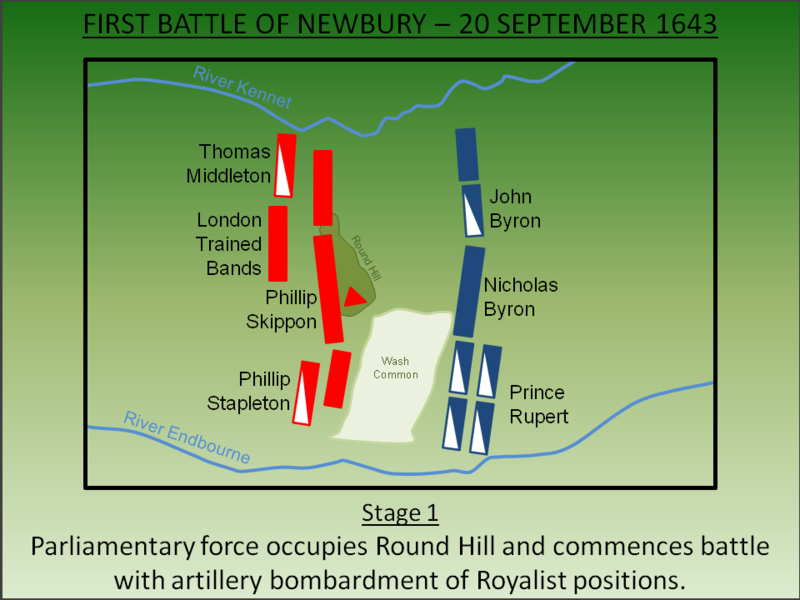 Overnight on the 20 September the King withdrew his forces and, when Essex commenced an artillery bombardment at dawn on the 21 September, he was firing upon empty fields. The fighting through the 20 September had been bloody and inconclusive with little ground gained or lost. However, on the morning of the 21 September, the road to London lay open and Essex was able to resume his march towards London. He had avoided defeat and ensured the survival of Parliament's only field army in the south giving them the means to continue the war. For the King it was a strategic defeat and was perhaps the last point where a single battle could have won him the war. English Heritage (1995). Battlefield Report: Newbury (1643). Swindon. Lancaster, J.H.D (2014). 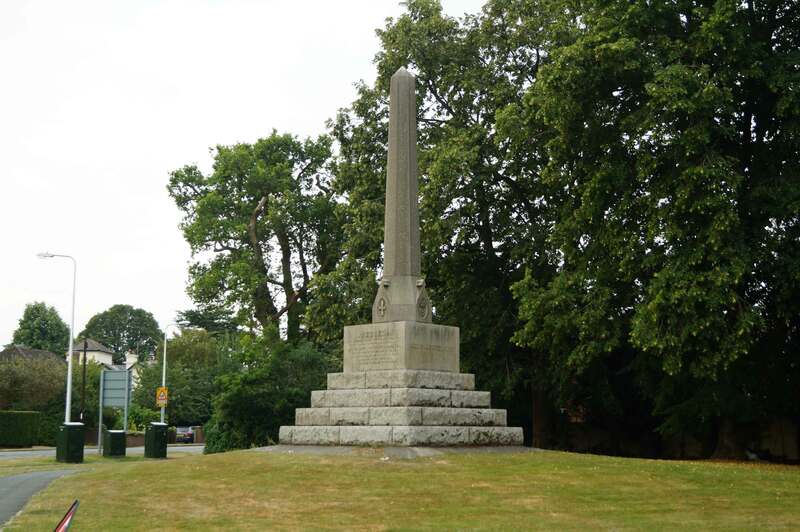 Newbury: Battlefield visit notes and observations. CastlesFortsBattles.co.uk. Money, W (1881). 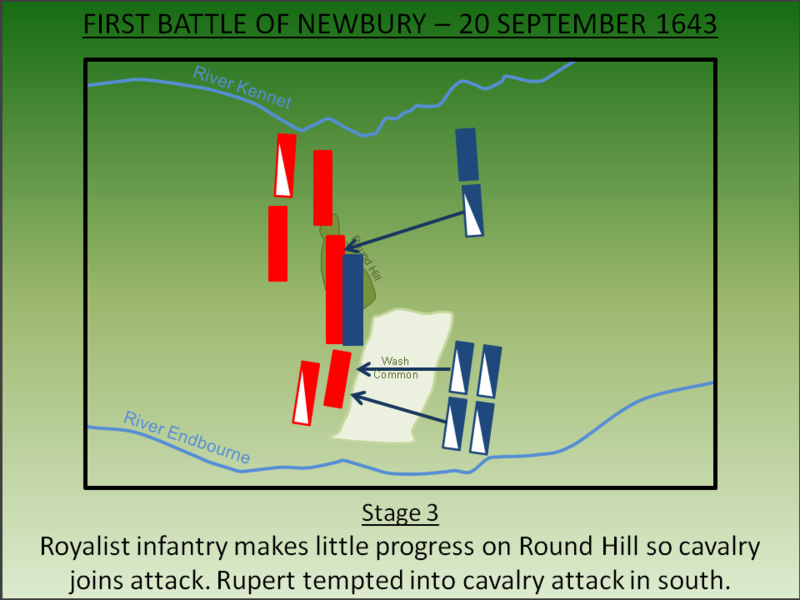 The First and Second Battles of Newbury and the Siege of Donnington Castle during the Civil War, 1643-6. London. Ordnance Survey (2015). West Berkshire. 1:1250. Southampton. The battlefield differs extensively from the seventeenth century. Newbury has encroached on the west whilst the undeveloped/agricultural areas are significantly less enclosed than in 1643; then it was a maze of banks and hedges. Nevertheless the general terrain can still be appreciated. Falkland Monument. Lucius Cary, Viscount Falklands was one of the many who lost their lives in the fierce fighting that characterised the battle. The engraving on the Falkland monument. Biggs Cottage. The commander of the Parliamentary army - Robert Devereaux, Earl of Essex - stayed at Biggs Cottage (above) prior to the battle. View south across the battlefield - Royalists on left, Parliament on the right. 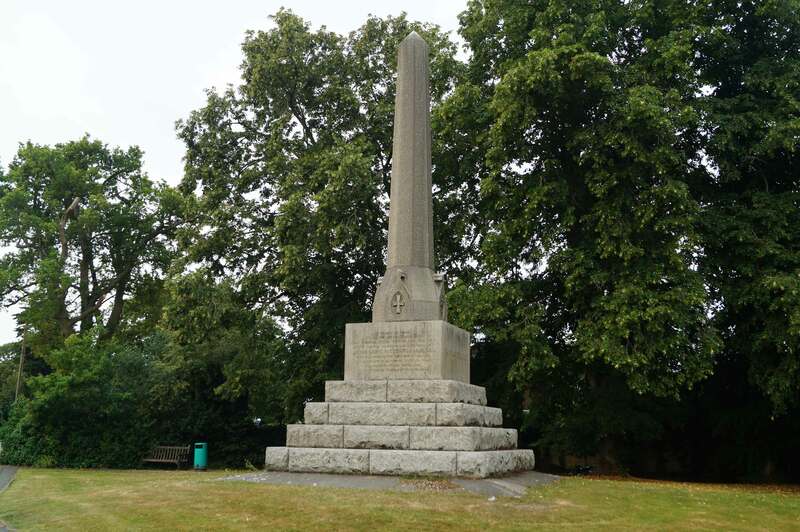 Located to the west of modern Newbury the battle has no dedicated viewpoint. The Falkland Monument is a good starting point and adjacent local shops offer easy parking. A lay-by exists on Enborne Road giving a good view of the battlefield. 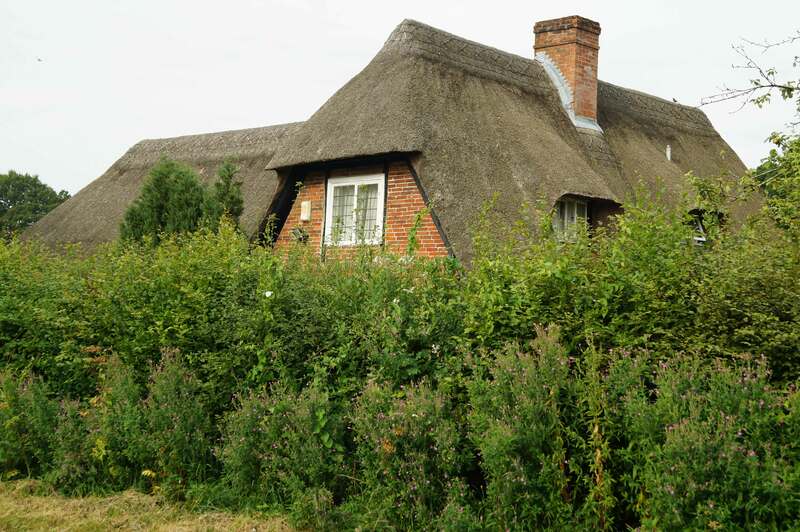 Biggs cottage can be found on a quiet rural road.